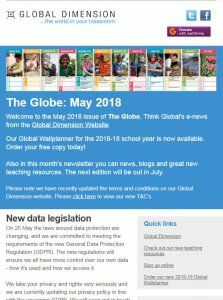 Our Global Dimension Website sends out The Globe twice a term – a free e-newsletter with news and updates on global learning and teaching resources. 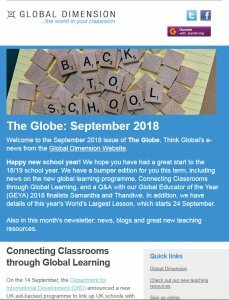 If you would like to receive a copy of The Globe in your email in-box, please sign up here (it’s free). 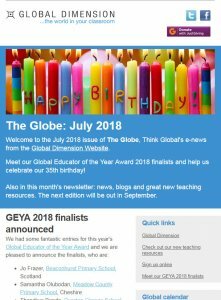 A selection of past issues is shown below.